Diederik de Boer was the Chief Executive Officer of the Miclyn Express Offshore Group between 2006 and June 2015. Diederik has worked with the Group and its predecessor companies since 1991, when he was appointed the General Manager of CW Marine Services (Singapore) and Regional Director of SvitzerWijsmuller Group. From 1979 to 1990, he worked in the same industry for SMIT, in which his last position was as Marketing Manager for the Far East offshore vessel fleet. Diederik has vast experience in the offshore oil & gas services domain. 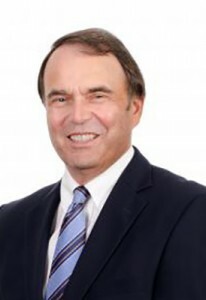 He has worked in various regions around the world, developed greenfield companies, participated in mergers, and has helped build Miclyn Express Offshore into one of the region’s leading offshore vessel service companies. Diederik, as Executive Director, will support the management in business development initiatives, training, coaching and mentoring senior managers and business expansion and extension projects. Diederik has a Bachelor’s degree from the Erasmus University Rotterdam in law and a MBA from the Graduate Institute of Management in Delft.